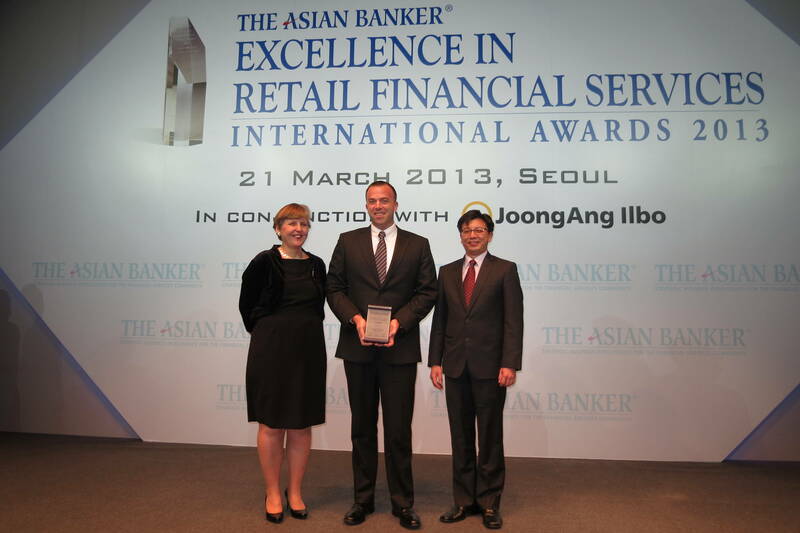 Alliance Bank Malaysia Berhad was named the “Best SME Bank” in Asia Pacific, Gulf region & Africa for 2013 by the prestigious Asian Banker at the Excellence in Retail Financial Services International Awards 2013 held in Seoul, South Korea. The Asian Banker is a leading provider of strategic business intelligence for the financial services industry. The Excellence in Retail Financial Services Programme was instituted in 2001 to recognise the pursuit of excellence amongst retail financial institutions in the region. Alliance Bank’s SME Banking is the first Malaysian bank to win the coveted “Best SME Bank” in Asia Pacific, Gulf Region & Africa award from the prestigious Asian Banker. The Bank’s business banking segment also clinched the “Excellence in SME Banking” at the recent Banking & Payments Asia Trailblazer Awards 2013 (“Trailblazer Awards”) held in Singapore the week before. Provider Excellence in Virtualisation”. Now in its fourth year, judges of the Trailblazer Awards asseses over 130 submissions for awards across the various categories including product excellence, channel excellence, service excellence, process excellence and strategy excellence. “In our conversations with our SME customers, we know that regardless of industry or size, business owners always look for more efficient and productive ways to improve their business. As such, we have implemented a number of strategic initiatives to transform our customer relationship model to serve the SME segment better,” explained Miller. In addition, Alliance Bank was one of the financial institutions that was honoured by the SMI Association with a “Sahabat SME Award” for the third consecutive year, reiterating the trust and credibility that Malaysian SMEs place on the Bank as their business partner. “We appreciate the confidence that the Malaysian SME community has placed in us, and we look forward to partnering with them for greater growth,” remarked Miller.